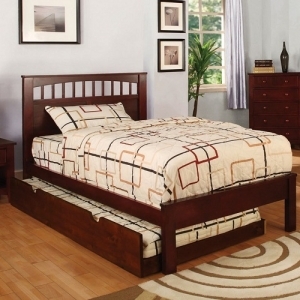 Platform beds are a give a great visual appeal with the sleek straight lines on the bed. 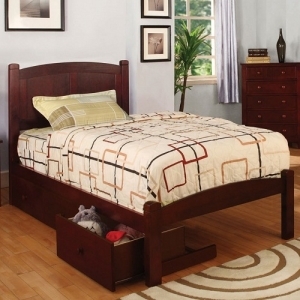 These beds provide room for more storage with underneath built in drawers. There is also an option of having a bookcase headboard that allows the room for more storage of things such as books, alarm clocks, phones, or any item that needs a place on the bookshelf. 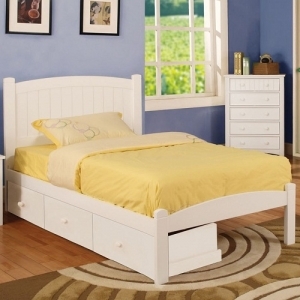 This bed does not require a box-spring mattress therefore it is closer to the ground. 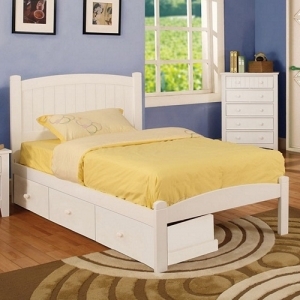 With it being lower, it makes it easier for children to get in and out of bed with ease. 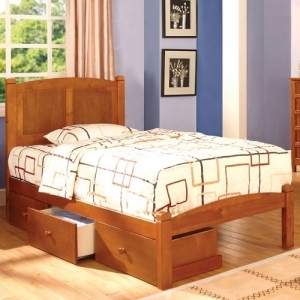 The platform bed comes in different styles, from traditional to contemporary, and is usually made of wood with a variety of finishes. 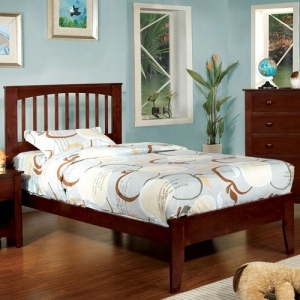 A great thing of the platform bed being so low to the ground is that it gives the illusion of a bigger room. There are 49 products in this category.